Kim Jong-Un will have a supernatural conversion that will shake North Korea of its demonic control and bring its people to a new found freedom. I keep seeing prayers of incense to the Lord rising to the heavens and into the ears and heart of the Lord. He has heard the cries of the North Korean people and has for a long time. It is now the timing of the Lord that the heart of Kim Jong-Un will shift and tilt towards the way and the will of the Lord as he will see there is no other way than to surrender. There is a tug of war going on in the heart of Kim Jung-Un and it is imperative that believers everywhere pray and fast for him for the next seven days before his summit with President Trump. Once he comes into the presence of President Trump, a shift will happen in the nations. It is the result of an alignment that was pre-destined before the foundations of the world. The conviction of the Lord will visit Kim Jong-Un and his heart will melt. He may appear to be hard on the outside, but there is a little boy on the inside that longs for a father. One he really never had. He will have to make a choice. He is weighing his choices right now. Pray for his heart, for the softening of his heart and for the enlightening of his eyes according to Ephesians 1:18 so that he may see the destiny and hope to which he is called to that God has prepared for him that far outweighs his own vision for North Korea, but he must self-surrender. There is a fear deep in the heart of Kim Jong-Un that is buried and hidden very well but God sees through every outer shell of self-sufficiency. God will be gentle in His workings with Jong-Un but there is a limited window of opportunity that he must walk through. God is giving him some time but that window of opportunity won’t stay open forever. For God has heard the cries of His people and the people living in North Korea and their families abroad that feel trapped and are hoping for a new day. That new day is coming and is already here and God will see to it that the North Korean people are liberated. There will be a new coming to and fro, and the governmental system that is now in place that will shift and it will surely change. Little by little it will change. God is calling believers everywhere to be faithful in prayer during this season and to not look at what is seen but what is unseen. Man looks at the outward appearance but God looks at the heart. God sees the heart of Kim Jong-Un in ways we do not see. God will show President Trump the true heart of the North Korean leader and move accordingly to the divine wisdom of the Lord as benefits the United States but even beyond the United States. For the knowledge of the glory of the Lord must reach the ends of the earth and take note that Iran is watching very closely. A pivotal wall of resistance is erected by the Holy Spirit through the prayers of the saints to resist Iran and their evil schemes as they are watching the world leaders make their moves in this season. They are praying prayers that are not of the Lord. Demonic powers are gravitating to their prayers but these prayers will not stand above the prayers of the God’s people. But know this, God has His eye on Iran and the people of Iran and the underground church of Iran that have been praying. there is a remnant. They are hidden but they are not hidden from the Lord. Many have been persecuted and have lost their lives but their blood cries out to the Lord and there shall be a revolution and renewal of the Lord in Iran. The Lord says, “Pull back from any tunnel vision you may have and pan your eyes to see the panoramic view of what I am doing. 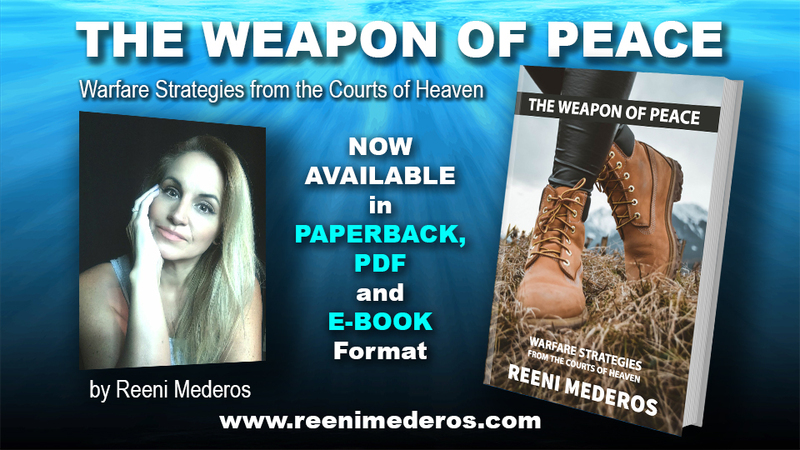 America, North Korea, China, Russia, Iran, and Israel will play a crucial role in the next course of events.” Don’t get so caught up in the little whispers of the enemy but pay attention to the bigger plan plainly revealed in Revelation. Stay vigilant, stay faithful and stay close to the heart of the Lord. For you will see the hand of God move mightily as your prayers will shift and place the chess players into place so that the angelic host of God can make their move and restore God’s original intent and design. This is a team effort with heaven and earth and those that know how to touch the heart of God in prayer for America and the nations of the world will see the salvation of the Lord before their eyes. Your prayers have not been in vain. Stay focused. A mighty shaking in the heavens is about to erupt with glorious joy! “There will be dancing in the streets,” says the Lord! I am also in agreement with all that was spoken.The prayers of a righteous man availeth much.There are also many in North and South Korea praying much to see this day come.Many families in both countries blood related-a huge family reunion that only our God can make happen.It happened to East and West Germany when the Berlin wall fell back in the 80s and it can surely happen ….again. Yes, I see this as well…..
My family & I are American expats who have been living, working, & ministering in South Korea for nearly 13 years now. We have stood with this nation praying, prophesying, preaching, & proclaiming the reunification of this land. Just as Kim Clement prophesied, N&S Korea will be one, but in God’s hands alone and not by the power or ingenuity of any gov’t or man. We have also been calling for the salvation of 김정은 (Kim Jeong Eun) and the redemption of the Kim family line which has its roots in the PyeongYang revival of 1907. There is great concern among the South Korean Christians about the reunification under the current SK President 문재인 (Moon Jae In) who is a known communist and envisions a united Korea under socialism/communism. There truly is a great deal about which we need to be praying! As we know, Pres. 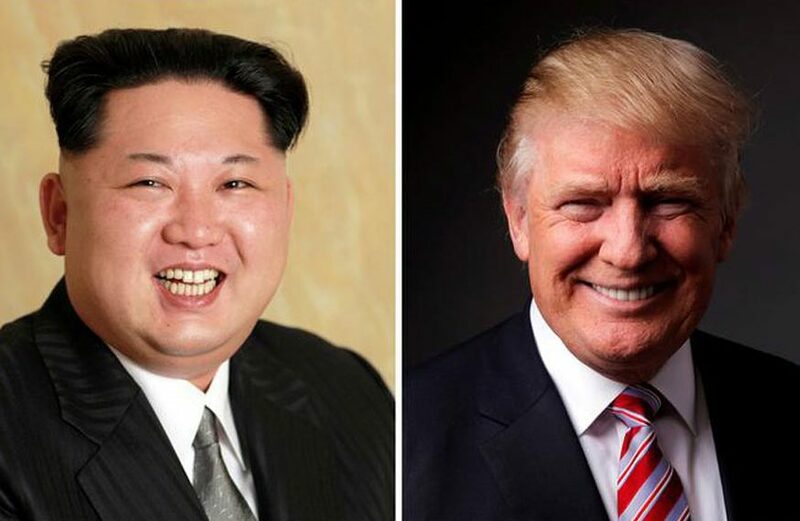 Trump & 김정은 will be meeting in Singapore on June 12, 2018 which is also the 31st anniversary (June 12, 1987) of Pres. Reagan’s famous speech, “tear down this wall!” which authoritatively & prophetically released the power to see this accomplished in Germany. (The Trump administration has said they didn’t know about this when they chose the date, but God sure did!) Interestingly, 31 is the Hebraic numerical value of God’s name El (Lamed=30, Aleph=1). The name El literally means “The strong and primary authority.” I believe in this coming summit, on this appointed day, the voice of El will be the strongest because He is the primary authority of the universe. He is The First and The Last, and will have the final say in all these proceedings! 31 is also the Biblical number for “offspring.” There is something new being CONCEIVED in this summit between parties that have been separated by a historical divide these 70 years. I believe that it is the spirit of UNITY that will be conceived and that it will be God who will then steward this pregnancy of peace & unity, eventually bringing it to birth in His hands alone. As God’s people, it is our privilege to partner with God in prayer to see HIS WILL and HIS WILL ALONE accomplished. This Spirit of Unity conceived in Korea is the very One that will then be released throughout the world causing the Body of Christ to be one as He desires, the unity of the church & Israel and so on. There is also a prophetic word that Pres. Trump is carrying for this summit, just as Reagan did in 1987. We need to be praying about this as well. Currently, there is a 24hr. 40 day House of Prayer event near the DMZ here in Korea that began on April 29-June 7. We are lifting Jesus over this nation in fasting, intercession & worship, calling for the King of kings to have His way alone in Korea. Thank you for joining with us and helping us to carry the purposes of God for this nation clear through the summit on June 12th! I felt this from the Lord too and He’s had me pray for Korea for many years. Totally on point Reeni! Spectacular God! Holy, Faithful and True! I will be in prayer and fasting with you for Kim Jong UN and his meeting with Donald Trump. As he has been willing to SURRENDER his nuclear weapons (toys he has held on to emotionally like a little boy would do) that this will be a big step toward him SURRENDERING his HEART to the LORD! Also that Pres Trump will be a spiritual father to him as days go forth. When I look at pictures of Kim on tv, I have sensed something is different in or with him. After reading all your comments I now believe I am seeing a change of heart taking place. Perhaps it will be manifest to the world when Pres Trump introduces him to Jesus. I pray that Pres Trump will tell him about Jesus..oh the joy of angels in heaven and people on earth when this man comes to know Jesus and all those horrible generational ties back in his family line will be broken by the blood of Jesus. Oh wow, I agree as I had a very powerful vision of being in the oval office earlier this morning in the supernatural praying over President Trump as he sat at the desk and prayed for guidance earlier this morning. I remember warrior angels with swords bringing in the Saint of God in whole-hearted agreement with every word spoken. What were the words spoken? I have been praying in tongues for the last couple of days as I have felt a shifting in the atmosphere over North and South Korea and a personal shifting in one man’s heart, Kim Jung-un, as his soul lays in the very balance; therefore, I do believe all those prayers are directed straight toward him in Jesus. God has been working in North Korea for a long time and will continue to do his work in Kim’s heart. The believers in South Korea have prayed for and reached out to North Korea for a very long time. South Korea will enjoy the fruits of their labor. My husband sent this to me thus AM I have been saying this abt Kim with Trump since we heard they would meet (a father figure). Now we need to continue in prayer that the meeting will go through. Yes I agree with that word. President Trump will be like a father to him as well as others. Yes he is an orphans and orphans lash out because they do not have a dad. Going to be a great answer to pray. I pray that President Trump will be firm but loving. © 2018 Web Design by Reeni Mederos. All Rights Reserved.